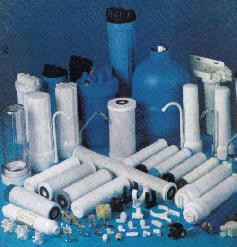 Tired of keeping track of your replacement Filters? Let us do the work for you. Subscribe your water filter to our Replacement Filter Program and you will be notified when your filters are due for replacement. This program is a free service and there is not obligation to buy your filters from us. We make it easy for you. For our current customers, we provide easy access to replacement part with our online catalog specifically design to target the products we offer in our website. For new customers, we provide a line of replacement parts for standards systems and for after market filter like Clack (microline) Style, Culligan Style, ECO Style, Rainsoft Style and others. Please browse our Replacement Parts Catalog and if you don't find what you are looking for, we exhort you to contact us with detail of the product you are interested in.